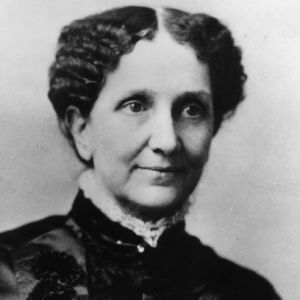 Mary Baker Eddy, the discoverer and founder of Christian Science, in a portrait that hangs at Beacon Haven. Christian Science nursing is a practical, spiritual ministry that actively supports the patient’s decision to rely on Christian Science for healing. It is grounded in the Bible-based theology of Christian Science, which includes Christ Jesus’ commandment to love one another (see John 15:12). This ministry is carried out with prayer, wisdom, compassion, and skill. Christian Science Nurse. A member of The Mother Church who represents himself or herself as a Christian Science nurse shall be one who has a demonstrable knowledge of Christian Science practice, who thoroughly understands the practical wisdom necessary in a sick room, and who can take proper care of the sick. The cards of such persons may be inserted in The Christian Science Journal under rules established by the publishers. Christian Science Nursing. Christian Science nurses provide skilled, practical care that is grounded in the spiritual healing method of Christian Science. The Christian Science nurse’s standard of care rests squarely on the Bible, especially the Ten Commandments and the teachings of Christ Jesus, and on Mary Baker Eddy’s writings. Christian Science gives an idea of who and what we are as “made in God’s image.” The reason that Christian Science treatment or prayer heals is that it opens human thought to God’s infinite goodness, which includes no sickness, evil, or fear, and to God’s man, who is deserving of all good. Christian Science treatment persists in affirming the presence of God and man made in His image and likeness. Christian Science Practitioners. All persons admitted to Beacon Haven must be under the care of a Christian Science practitioner listed in the current issue of The Christian Science Journal. Spiritual Reassurance. Acknowledging God’s all-presence and absolute power; faithful and consistent affirmation of a patient’s real, spiritual nature. Personal Care. Assistance with bathing, commoding, oral care, feeding, moving, handling, positioning in a chair or bed; help with the use of wheelchairs, crutches, walkers, and other aids. Dressing/Bandaging. Proper cleansing and bandaging for cleanliness, protection, and comfort, and teaching the patient or others to meet these needs. Reading Aloud. Reading from the Bible, Science and Health with Key to the Scriptures, and other authorized Christian Science literature to support healing and spiritual progress. Christian Support. Gently offering assistance in support of the patient’s expression of vitality and normal activity.